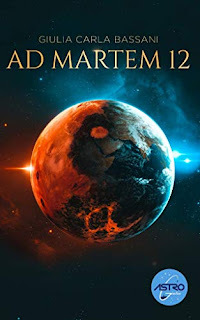 Written by an aerospace engineering student who dreams of becoming an astronaut, “Ad Martem 12” is a little jewel of hard science fiction aimed at a young audience, but that can be appreciated by all ages. Although with some licence and simplification (it is still a book of fiction, not an essay), in a background of plausible technology and science, the author tells the story of the first three children born on the Red Planet, who, reached the age of sixteen, begin to wonder about their origins and Earth, from which all the other people living in the Aresland station come from. The story is told from the point of view of one of them, Jordan, and this is done in such a way as to facilitate the identification of the reader in the character. Although I have not been a teenager for quite some time, in finding myself aware of his thoughts, fears and sensations, I managed to recover a portion of that part of me from the past and therefore to understand his motivations and actions. 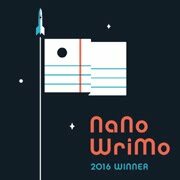 The protagonists, in fact, are not just the usual talented young people who are going to face an adventure like an adult that you can find in most of the young adult stories. In them you can see all the characteristics of the age in which you are no longer a child, but at the same time you are not yet an adult. They are prepared, intelligent and smart, but also naive, distracted and reckless, like any teenager. The problem is that they live on a desert and lethal planet, and the slightest mistake could cause their death. Between desire to know, dangerous accidents and unexpected feelings, Jordan, Anna and Yan begin a journey to discover the truth about their past and especially about the future awaiting them. With an engaging style, in its refined simplicity, which at times manages to be evocative of landscapes from another world, Bassani allows us to accompany them and be ain trepidation with and for them, until the comforting ending that succeeds in being profound without falling into banality. Ad Martem 12 on Amazon.